A $100 million, 100-metre high apartment building has been approved for Docklands riverside precinct in Melbourne. The building will form part of Mirvac's ongoing Yarra'a Edge development and will be the first tower in the prime riverside Bolte Precinct. The 30-level tower at 160-186 Lorimer Street, is designed to 4 star Green Star standard. It features 229 apartments, ranging from one-bedroom to larger family size apartments, 302 car parks, 84 bicycle spaces, and ground floor retail. "This development reflects not only the fact that Melbourne is the best place to invest and build, it is also a centre of great architectural and urban design. This development delivers on Plan Melbourne, our vision for Melbourne to 2050, which supports development in the central city with access to transport, jobs and services close by,” Mr Guy said. “The Victorian Coalition Government is boosting construction activity and creating thousands of new jobs in the building industry. Building permit activity for 2014 so far is 13 per cent above the same period in 2013, up to $10.6 billion. 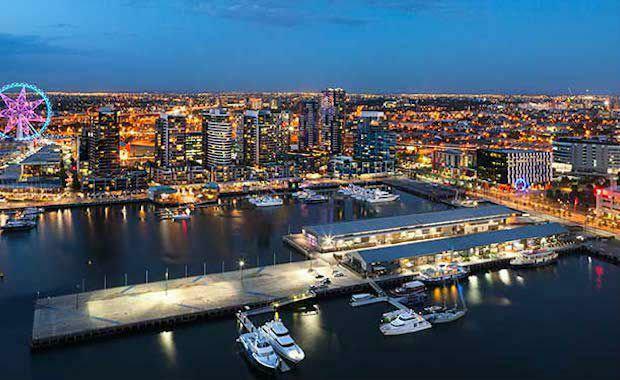 Upon completion Docklands is expected to have attracted in excess of $17.5 billion in privateinvestment and be home to an estimated 20,000 residents, 60,000 workers and millions ofvisitors annually. The Lorimer Street development adjoins the Lorimer Precinct of the Fishermans Bend Urban Renewal area and expected to house more than 80,000 residents.